The Wieliczka Salt Mines near Krakow in Poland are simply one of the most amazing sights in the world and make for an essential part of any Europe trip. Among the very first sites to be awarded the honour of UNESCO World Heritage Site status back in 1978, the oldest operating salt mines in world history today attract around 1.2 million visitors a year who are spellbound by the labyrinth of rock salt carvings. Although the exact date of when the mines opened remains unknown, a notable legend is associated with it. In the mid 13th Century, Princess Kinga of Hungary was due to marry Poland’s Prince Boleslaw. According to the tale, Kinga threw her engagement ring into an undergound salt deposit in her native Hungary before leaving to get married in Poland. Wishing for a salt deposit to call her own, as salt was very scarce in those days, she requested a group of miners near Wieliczka start digging. Lo and behold, after commencing the dig, they found a rock of salt that split in two. Inside, was Kinga’s engagement ring. 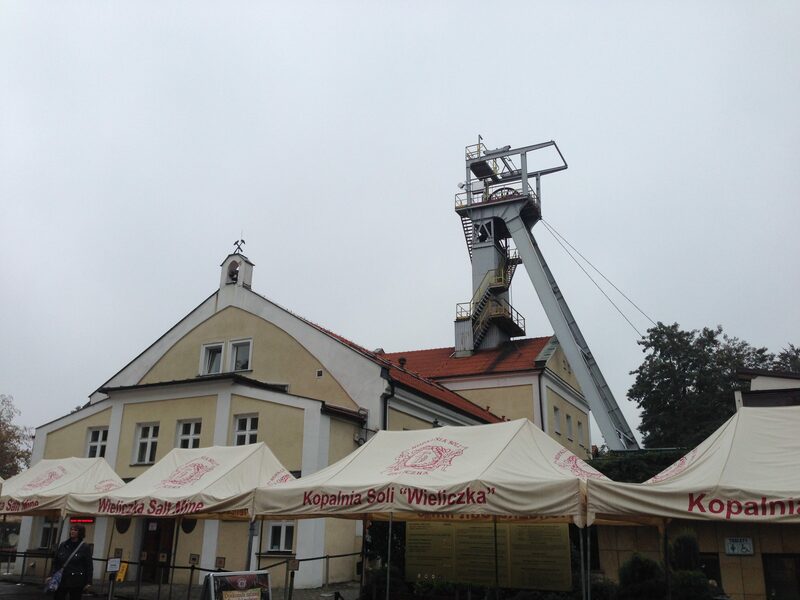 To commemorate that moment, a statue depicting the moment the miners present Kinga with the ring is immortalised here. The miners not only extracted rock salt for commercial use but created statues and structures of the material. So much so, it defies belief when you see it. Today, the salt mines are also a popular venue for concerts and weddings and even provide a health and wellness centre. Although commercial salt mining ceased as recently as 1996, the legacy and the legends associated, live on for all to discover. To get to the mines, the best way is to take bus no. 304. This departs from near the Galeria Krakowska shopping mall. There is also a direct train to Wieliczka Rynek Kopalnia. Walk along to the entrance which is at the Danilowicz Shaft, where the tour begins. 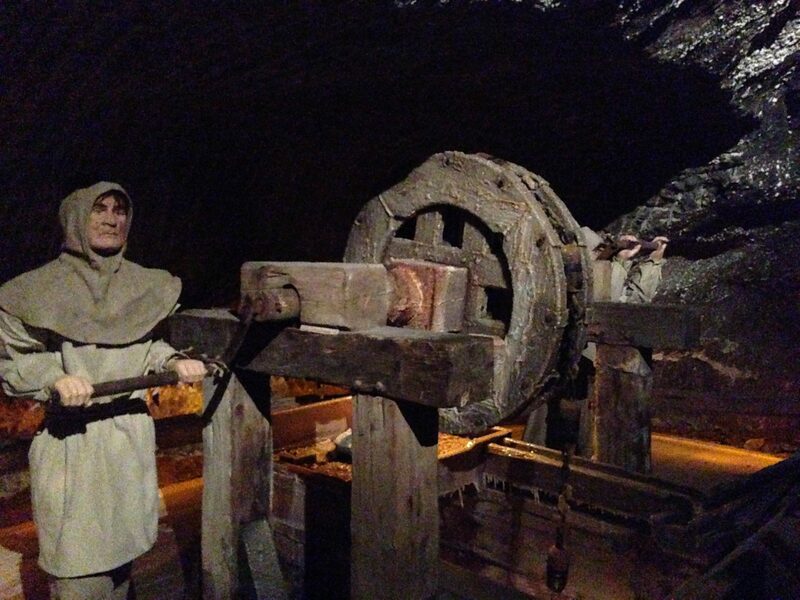 The staff here have an excellent knowledge of the history of the salt mines and their passion for this is second to none. 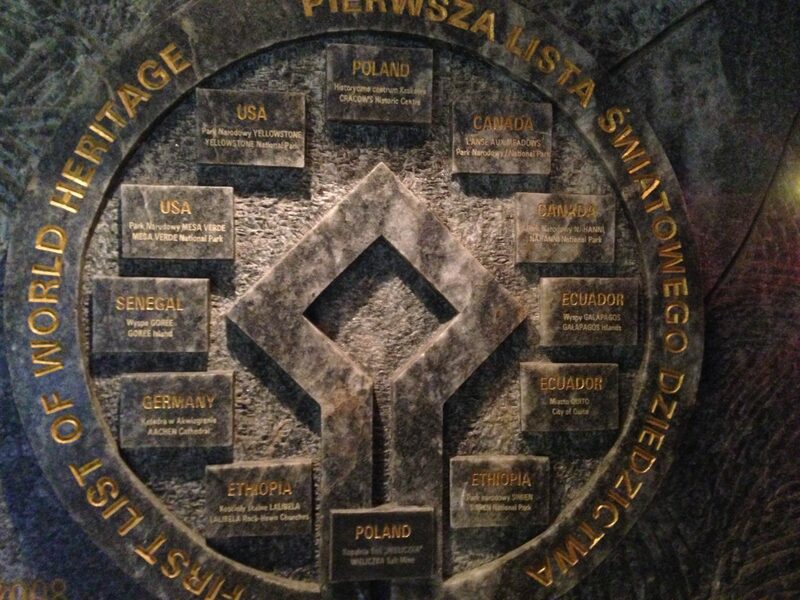 There are tours in English and Polish at every half hour. Other language guides (French, Spanish, Italian, German and Russian) are available too albeit not as frequently, so it is highly recommended to check the timetables on the website prior to visiting. 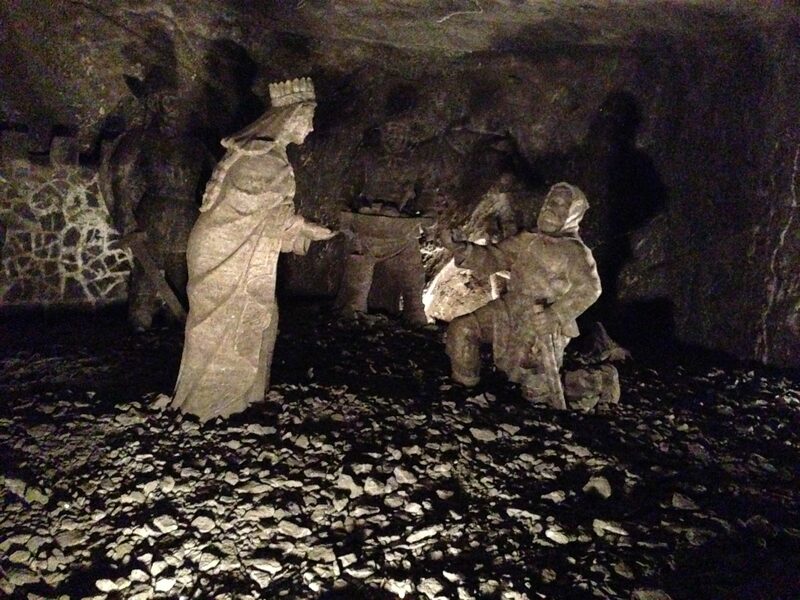 The most common tour is the “Tourist route” which covers the main sites and statues of the mine. There are however more specialist group tours available including a “Miner’s route” that gives you the chance to have a hands-on look at miner’s life. 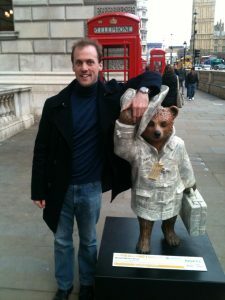 But here, I will recall my brilliant experience of the tourist route. The first port of call takes the group down 378 steps to the mine entrance. The prospect may feel a little unnerving at first as you peer down the staircase but trust me this is a descent into something truly spectacular! Descending into a labyrinth of different zones, it felt almost like The Crystal Maze. But without the quirky puzzles. It truly is a feeling of awe and wonder when you see the great work put into such carvings by the miners themselves, many of which remain in their original state going back centuries. At the start, you see some of the most spectacular statues made all out of salt that trace origins back to the mines early days. Going through the first set of chambers introduced us to both the practical and artistic side of the miners work. A saline tribute to Nicholas Copernicus, one of the great astronomers in history. 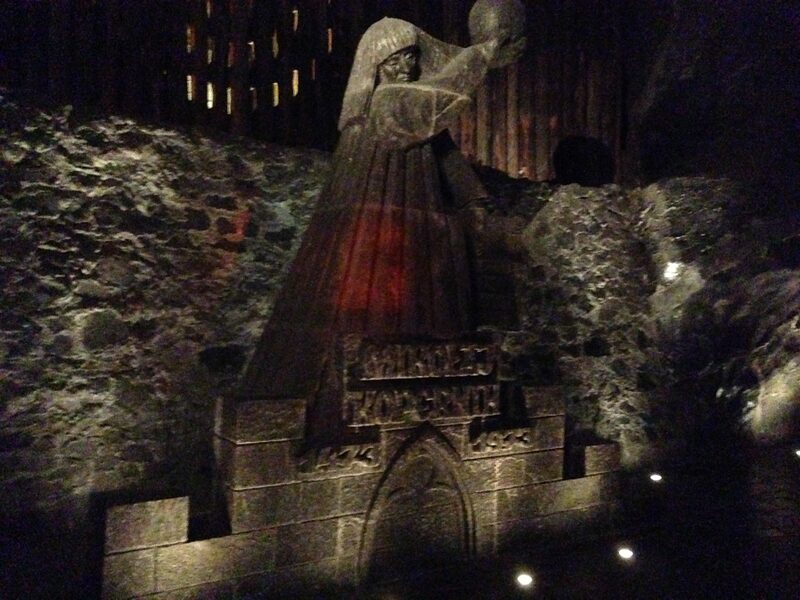 The “Copernicus Chamber”, as one of these chambers is known not only features a statue of Poland’s great scientist but also features demonstrations of the actual mining process. Mechanical wheels turning, life-size carvings representing miners and horses and a model of the salt mines all give a clear view of what typical working life here was like. Among the most significant is a carving of King Casimir III, Poland’s great ruler in the 13th Century. Immortalized in salt, perhaps the moment that led to the discovery of the salt mines? After going through the great salt sculptures of the Kazimierz and Janowice chambers, words cannot prepare you for your introduction to without doubt the most spectacular room of all. 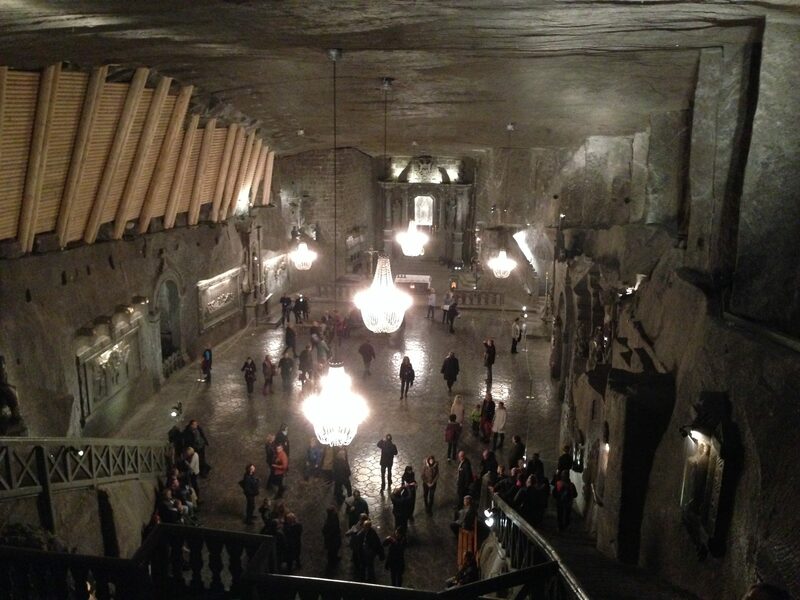 St. Kinga’s Chapel, with even the chandeliers made entirely of salt, stands as the crown jewels of the mine. A subterranean church in its own right (still used for weddings to this day), you will stand in awe at the careful attention to detail that went into creating this. A salt carving of “The Last Supper” on the walls is testament to not only the dedication of the miners but also their faith. A salt statue of Pope John Paul II, always highly esteemed in Poland, is in one corner here. This chapel is of course named after St. Kinga, the patron saint of Poland and, seemingly, the unofficial founder of the mines as mentioned earlier on in this article. At this section there was just cause for myself and all in the group tour to take a pause and marvel at the wonder of this structure. And inevitably, multiple photo opportunities. It truly is one of those rooms you have to see for yourself but I think this photo gives the best first impression you get on the tour, viewing the chapel from the landing above. Following a quick tea break in one of the chambers, the tour resumes into the Weimar Chamber. The lights went out to allow for a little light show along the underground lake. A brief excerpt of Chopin’s Tristesse complements the serenity perfectly. At this stage the group tour comes towards its close. We carried on through the wooden structures of the Michalowicz Chamber, and the serene salt lake of the Jozef Pilsudski grotto. Joanna, our very excellent tour guide who presented the tour with great interest in the history of the mines, led us towards the gift shop where it was time for us all to part. No visit is complete without a souvenir so naturally I bought a tub of authentic bath salts. And yet, to this day I still have not opened it! In its original packaging, just looks almost antique that I feel reluctant to open the jar. And as a worthy memento of one of the most spellbinding wonders on Earth. But now, for all on the tour it’s time to head back to the real world! This time, however, through a less comfortable elevator to the surface. As you can see, one of the first entries to the UNESCO World Heritage list alongside other world wonders such as the Galapagos Islands and Yellowstone National Park. As mentioned earlier the most frequent tour is the Tourist route but there are other specialist routes as well. For those of a more daring nature, the Group Adventure definitely offers a more hands-on experience. This puts a group of you all together actually in miners’ outfits and hard-hats going off the tourist trail and taking part in a series of practical exercises. Great for team building or a sense of adventure, I would definitely want to give it a go next time! Perhaps this would be where the Crystal Maze comparison earlier in the article would be more apt. Worth taking into consideration is the health resort facilities on offer. As salt itself is an important source of magnesium, potassium and sodium chloride, Wieliczka naturally provides an ideal pollution-free environment for health treatment and therapies. This is particularly beneficial to those affected by asthma, bronchitis and any respiratory infections. You can either spend a day there partaking in many activities that keep the joints flexible (far more beneficial than any gym membership!) or even stay overnight. Sleeping underground and inhaling only clean air seems like quite a unique experience! I felt a little sadness once the tour was over. 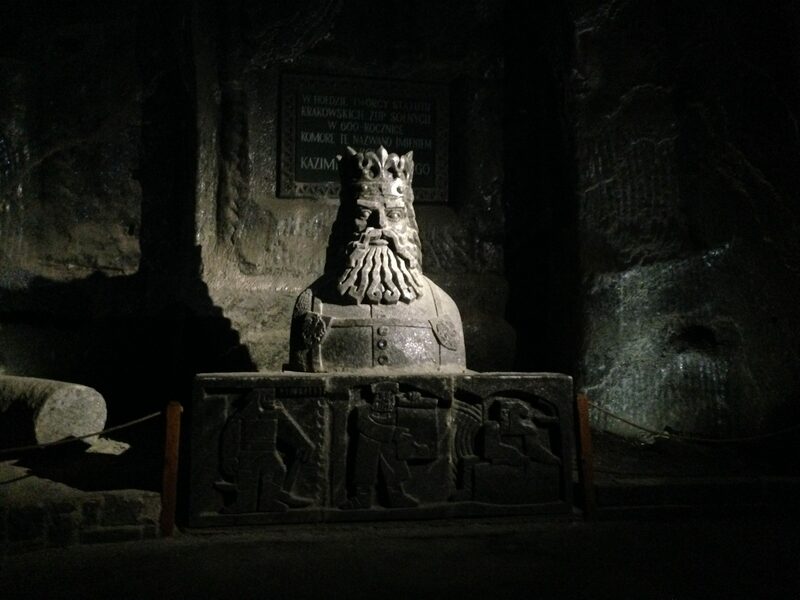 Having been so fascinated by what I saw that visiting the Wieliczka Salt Mines is something I know I want to do again. And again. And I know I will never get tired of it!